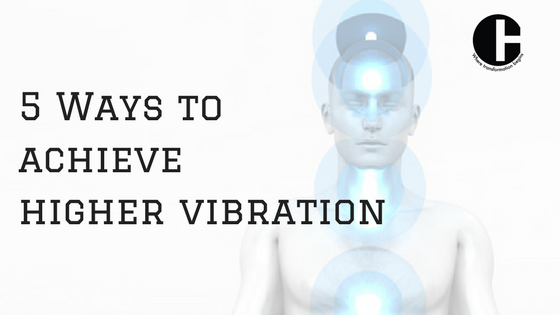 Do you know how to keep your Vibration high? Are you happy with the way you are attracting things in to your life? Every moment of your life, you are affecting your energy field with your thoughts, feelings and emotions. Every Choice you make, decides whether you are moving in to a higher or lower vibration. When your vibration is down and low, you are low on energy, which results in stagnation, negative emotions, laziness, health issues, anxiety and depression. To live in peace and happiness, it is very important that you keep up a higher vibration of your etheric, emotional and astral body. This post is part of my 3 month online healing course I teach over Skype. If you want to have more depth on this, then you can subscribe to my program chakra healing online courses. This will work for you if you are serious about the way you live your life. You need to be passionate about the way you live and love your life. You have to be conscious of your life. Unconsciousness is nothing but the beliefs and behaviours you gathered along from your failures, from lack of knowledge, from other people, society and media etc . You run your whole life from the perspective of this borrowed knowledge. You give away your power to this unconsciousness, because you don’t believe in your worth as co creator. In Sanskrit they say Yad bhavam tad bhavati, meaning you become what you feel. If you are consistent in attracting failures, wrong people, and suffering in to your life then its time that you turn your focus within. You forget that you are also a creator and not a victim. How can any unwanted thing happen if you are the co creator? So knowing that you create your own reality, puts you back in to the drivers seat.You no longer have any reason to hold others responsible for your experiences. Every circumstance that you experience takes the meaning you give. In other words, you make your situations or circumstances meaningful. otherwise they do not carry any meaning. Your conditioning gives meaning to the circumstance. Your belief system gives meaning to the circumstance. Your experience gives meaning to the circumstance. Your interpretation gives meaning to the circumstance. Remove all the above lenses and see the circumstance or situation then you will realise that they are meaningless. In the beginning it is difficult to accept this truth, but give it a try to see the magic unfold into your life. And for any reason if you still can’t raise your vibration, then reach out to me I will help you raise your vibration. Every bad feeling is a wake up call from your Spirit. That’s why having a bad feeling is a good feeling. because at least it will tell you that your vibration is not matching with who you really are. This bad feeling is like the red traffic signal asking you to stop, look within, see which belief of yours is creating this bad feeling. It helps you to re-define that belief in a way it empowers you or discard that belief. So a bad feeling is a good way for keeping your vibration high. Create a better, higher and upgraded version of your feelings, thoughts and Images and dream about that version and become one with them. Take a small step towards becoming that version. Right now. Lets say if your upgraded version is 10 kg less than you are now, then just get up and walk or do 2 push ups or 2 Surya namaskars or lift two dumbbells. You get the point right. Just do something, which will create the feeling of that version. This will keep you at a higher vibration. Yoga moves your energy in subtle ways you can’t even think of. Of course for your own good. Most of the time stagnation of energy is the main reason for lower vibrations. When you do YOGA your pranic levels in the body shoot up like 200%, causing a movement in the energy flow. You don’t have to sell your Kidneys and join a gym or go for a YOGA retreat. Just google/YouTube for SURYANMASKARS and start doing them every day for the rest of your life. There are 8 simple poses in one set of suryanamskar. Just practise them at your own pace, if you are weight conscious then know that one set of it will burn 12 cal. I will give my simple technique here. Day 3 – 3 sets. You get the point right? Increase every day one set that all don’t do anything else. Just imagine what happens after 30 days ? You would have the capacity to do 30 sets plus you would be burning 400 cal and the amount of energy you will feel in your Body-mind, oh that’s just Priceless. If for some reason you can’t do YOGA then schedule some quite walks in a park. Don’t take the elevator, take the stairs instead. Any activity that make you move your body do that ! Movement creates energy flow in your body. When it comes to energy if you don’t use it you lose it! Get moving, and your energy and vibration will rise. Find an activity you enjoy and return to it on a consistent basis and your vibration will steadily increase. Most of us have a monkey mind. It is very difficult to control it and make it silent. Why do you have to silence it? Because silence is the domain of highest vibration. So why silence has highest vibration? Silence of mind is a state of NO MIND, and a state of no mind is only possible if you are PRESENT in the moment. In other words, silence brings you back to this present moment. And present moment induces high vibrations. Your goal is always to be in the present moment. When you’re worried about future, or living in the past, you’re rejecting the energy coming to you in the moment. Forgive others and let go of the past to unhook yourself from lower vibrational energies, and open yourself to the beauty and magic present now. If you can practise silence even for 5 minutes, you are miles ahead and will be sitting on the peak of highest vibration possible. This process of being silent is called Meditation. This silence increases your awareness, helps to tame your monkey mind and opens door to new and inspiring experiences. There are many benefits to Meditation, this is just one of them. Here are Three meditations you can practise to experience silence and increase your vibrations. The easiest way to raise your vibrations is by aligning your brain waves to a higher frequency through resonance and entrainment. This is for those of you who are lazy and want results fast. Yes, listening to specific tones and music can enhance your vibrations. Your brain moves through cycles through out the day between 10 hz to 30 hz. Research shows that the frequencies in the range of 6 – 10 hz increases your vibrations and decreases stress, anxiety and depression. These frequencies are known as alpha-theta frequency. If you are interested I have a dedicated sound healing online course where you can align yourself with positive vibrations and dissolve your blocked energies just by listening to some pure tones in the range of 6 – 10 Hz. Let ‘s face it, life cannot be a bed of roses, you will get hit that’s a given ! But what you do is what matters. What I do personally is get in to a quiet place, start listening to my desired frequencies. You need not listen to my healing tones only, you can google and find a best fit for yourself. But this by far is the best and my favorite method to achieve higher vibrations consistently. There are several ways to achieve a higher vibration. Some use meditation or mantra chanting or visit a holy place. But these are all external sources. Once you understand the cause of your low vibrations, then it becomes easier to turn them around. These are the 5 ways i keep my vibration high. Try them and you will not be disappointed. You vibration will soar like a phoenix, especially the fifth method.